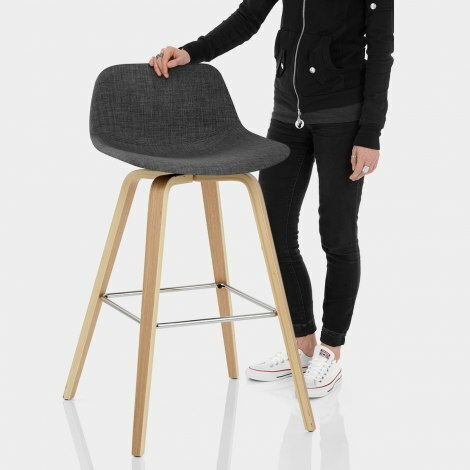 A minimalist piece with retro influences, the Reef Wooden Stool Charcoal Fabric is sure to bring a modern edge to your interior with its simplistic design. Innovative and impressive, the Reef is a funky model that can be used in a variety of settings. Offering support and style, the ergonomic curved seat and mid height backrest are amply padded for your comfort. Plus, chic charcoal fabric covers the seat, which will effortlessly complement a neutral colour scheme. Below, the four bentwood legs display a charming oak finish, and chrome bracing bars create a contrasting footrest. Set at kitchen worktop height, this is a real convenient item. "Look great and easy to assemble. 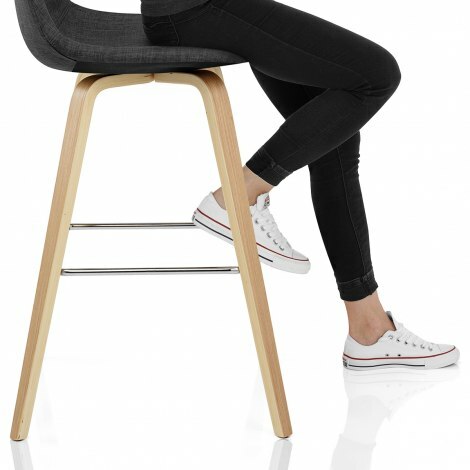 Also very comfy"
All round great stool, easy to put together, really comfortable, reasonable price. Delivery was unbelievably quick. The chairs are very sturdy, look great and I am very happy with them. 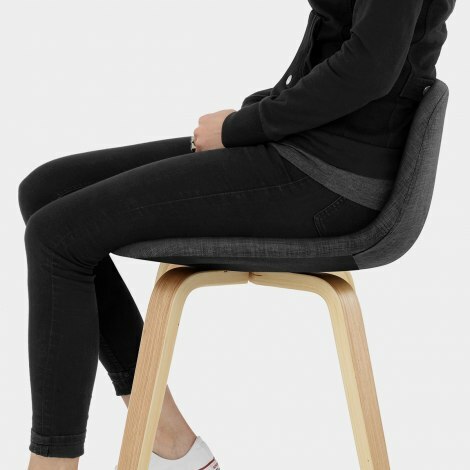 Bought four of these stools for our new bar in the kitchen & are a perfect height. Delivery was just two days after placing the order & assembly was very easy. Great padded seat covered in quality fabric & lovely finish to pale wooden legs, a good weight too but not too heavy to manoeuvre. Overall we highly recommend. Look great and easy to assemble. Also very comfy to sit and eat at.